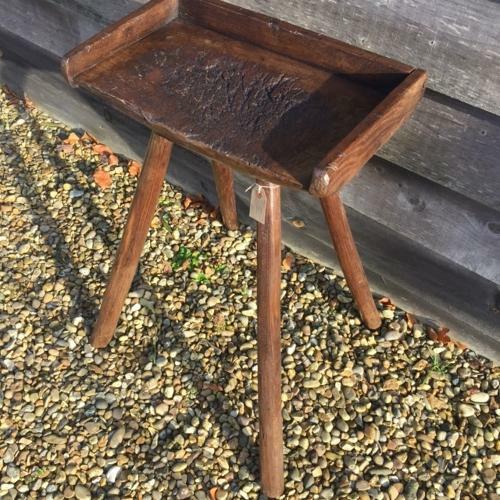 Wonderfully small and compact Cottage Chopping Table. 4 Legged, hardwood with raised edge to back and side. Would work well as lamp table or at side of sofa etc.